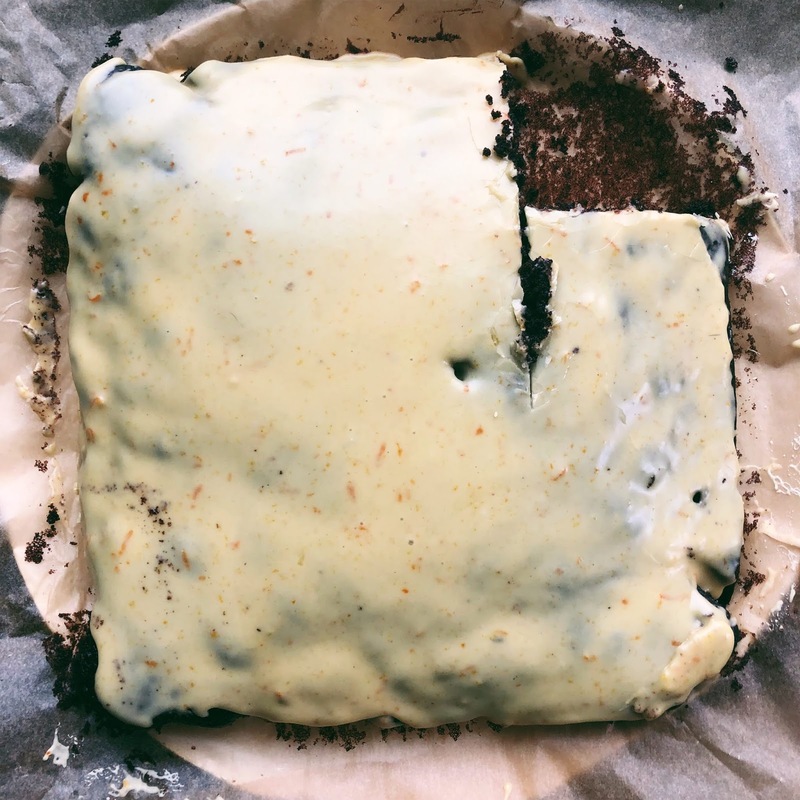 amour fou(d): chocolate snacking cake with orange glaze. Several weeks ago Melissa Clark did a story in the NY Times about snacking cakes. The kind of thing you make when you need a little pick-me-up/a small sugar rush/a little indulgence to go with your afternoon tea. I loved the article and the premise of the snacking cake. It just seems like the kind of recipe everyone should have it their repertoire. Something you can whip up when your friends are having a bad day or you want to celebrate a little victory or perhaps just because (which is the ideal reason). I’ve made 2 of the 3 recipes and while the banana cake is a delight (who can say no to a caramel glaze?) it was the chocolate snacking cake with orange glaze that really won me over. The chocolate cake is deeply chocolaty, spongy, and moist. The glaze is sweet with the perfect amount of citrus punch and if offsets the bitterness of the cake incredibly well. It’s a one bowl and maybe 15 minutes of active cook time. This makes it dangerously easy to bake it pretty much any day of the week.